During the planning process, these assets must be carefully looked at and not simply considered regular personal property to be devised by Will or otherwise at the time the client passes on. 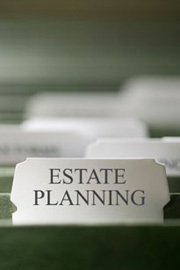 When people think about estate planning, they often think only about wills and trusts. Careful estate planning, however, involves a consideration of many estate planning tools that can help people plan for the future welfare of their family, both before and after their death. At the Law Offices of Alspaugh & Alspaugh, we offer a wide range of estate planning tools to meet the needs of our diverse client base. We represent clients throughout San Diego and the surrounding areas. Our clients have estates of all sizes from relatively small estates to larger estates that require more sophisticated planning. Our office is located in El Cajon, California. We represent clients throughout San Diego County and the surrounding areas. To contact our firm, call (619) 441-8501 or send us an email. Advance Health Care Directives and Powers of Attorney. Trusted Legal Service for Over 40 Years. The Law Offices of Alspaugh & Alspaugh has been established in San Diego County for over 40 years. The founder of the firm, George A. Alspaugh, Sr., was a prominent and well-respected attorney in San Diego County for over 30 years before his death. George A. Alspaugh, Jr. is now carrying on the tradition set by his father for personalized service and attention to detail. Many of our new clients come to us from the referrals of satisfied clients. Clients appreciate our warm and welcoming office atmosphere. They appreciate our attention to detail and our ability to provide creative, forward-thinking estate plans that protect their wealth and their family. Please contact the Law Offices of Alspaugh & Alspaugh at (619) 441-8501 or contact us by email to discuss your estate planning needs.